Pre-Order Dr. Dog’s new album Critical Equation here. The Philadelphia-based Dr. Dog are part of a long tradition of D.I.Y. pop oddballs who blend unapologetic '60s pop worship with lo-fi recording techniques and an apparent disregard for current trends. The group began as a part-time offshoot of the more traditional indie rock act Raccoon. Over the course of several years, guitarist Toby Leaman and drummer Scott McMicken found enough free time to record the casual, sprawling, 35-track set The Psychedelic Swamp in a basement rehearsal space, finally self-releasing it in 2001. As Raccoon ended, McMicken and Leaman transformed Dr. Dog into a proper band, with McMicken on guitar and Leaman on bass (the two shared songwriting and vocals), as well as guitarist Doug O'Donnell, keyboard player Zach Miller, and drummer Juston Stens. This lineup recorded 2003's more focused and poppy Toothbrush, which -- like The Psychedelic Swamp -- received a low-key, self-distributed release. When My Morning Jacket's Jim James, a friend of Leaman and McMicken from their Raccoon days, hand-picked Dr. Dog to open for his band on an East Coast tour, the band's almost nonexistent national profile began to rise. With O'Donnell replaced by former Raccoon bassist Andrew Jones and several Philadelphia friends making guest appearances, 2005's Easy Beat was picked up for distribution by the indie label National Parking. Following its release, the band toured again with My Morning Jacket and M. Ward, and performed several well-received sets at the 2006 South by Southwest festival in Austin. The stopgap EP Takers and Leavers was released in September 2006 in advance of We All Belong, which arrived in early 2007. 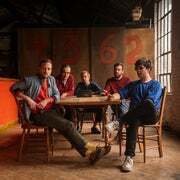 Throughout the rest of that year, Dr. Dog began posting previously unreleased tracks on their website; the songs were later released as Passed Away, Vol. 1 in March 2008. In the summer of that same year, the group released Fate. Fate featured some of the band's most polished productions to date. 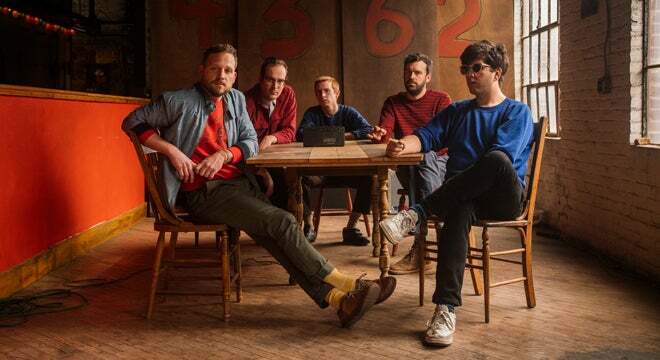 It also became Dr. Dog's highest-charting album, peaking at number 86 on the Billboard 200 and earning positive reviews from outlets like Rolling Stone and Entertainment Weekly. After touring in support of the album, the group signed with the ANTI- record label and released 2010's Shame, Shame, a modern album that featured more guitars than the band's earlier work. Golden Boots member Dimitri Manos, who had played with the band on Easy Beat, joined up with them as a full-time member, and made his first appearance on a full-length album in 2012 with the release of Be the Void early that year. Following the album, the band set to work building their own studio, a process that found them refreshed enough to release another album, B-Room, in 2013. In early 2015, they released their first live album, Live at a Flamingo Hotel. Next up, the band revisited their cassette-only debut Psychedelic Swamp, turning it into a tighter, polished, and altogether different album for 2016.